It is National Eye Health Week. 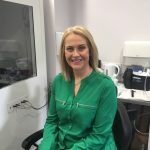 This year’s National Eye Health Week will take place 24 – 30 September 2018. The Week aims to raise awareness of the importance of good eye health and the need for regular sight tests for all. Visit www.visionmatters.org.uk for further information. We hope to encourage people to take better care of their eye health during National Eye Health Week (24– 30 September) with the launch of a guide to healthy vision. Research shows half of all sight loss is avoidable, so we want to inspire local residents to make some small lifestyle changes that could make a big difference to their vision and eye health. Avoid eye strain by following the 20-20-20 rule, especially if you’re using a computer for long periods of time. Look 20 feet in front of you every 20 minutes for 20 seconds. 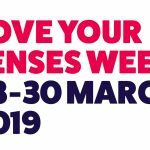 And, don’t forget to book an eye test during National Eye Health Week if you haven’t had one in the last two years (but not just during National Eye Health Week), but anytime.